All City Garage Door Repair is a garage door company located in Cranston, and specializing in overhead garage door repair and installation services. All City Garage Door Repair were founded in 2003 and have been in the garage door business as subcontractors for more than 25 years. We proud of being a company that offer same day garage door services in Providence County, and at the same time providing great service at a reasonable price for all our customers. Based out of Cranston, All City Garage Door Repair services all Rhode Island, including garage doors and overhead doors around Providence County. Our dedication to same-day services in Cranston is what keeps our satisfied customers coming back, since they know All City Garage Door Repair is a company you can trust. In today’s tough economic and competitive climate, the value of quality service has been pushed aside in favor of the bottom line, how much money we can extract from the client. Unlike many, All City Garage Door Repair believes that the tradition of excellent value can still be balanced with competitive pricing, and no matter what, we believe the customer should always be happy. At All City Garage Door Repair, no task is too big or too small to demand our best. Whether you need a large commercial overhead service, or a private home garage door installation, the techs of All City Garage Door Repair strive to complete every job with professionalism and a smile. All City Garage Door Repair offer an array of services that are all given the same consideration and focus by our attentive staff. In addition to our garage door repairs and installation services in Cranston, All City Garage Door Repair offer 24/7 repair service for those late at night emergencies when you need help immediately. We are always determined to provide our clients with exceptional customer service. That is why All City Garage Door Repair provides free phone consultations with a real person. This ensures that everyone gets the right service for their garage overhead doors needs. Additional services include garage door maintenance, and we even provide customers with security improvement consultations. All the technicians of All City Garage Door Repair are licensed and professional, and they always do their best to provide you with the high quality service that made All City Garage Door Repair so famous and one of the leading garage door companies in Cranston. With multiple years of experience, our technicians only use the highest quality parts and tools to give you exactly what you need. What sets All City Garage Door Repair apart from other garage door companies is not just our outstanding customer service, but also our commitment to keeping our customers informed and comfortable with our process of servicing garage doors around Providence County. 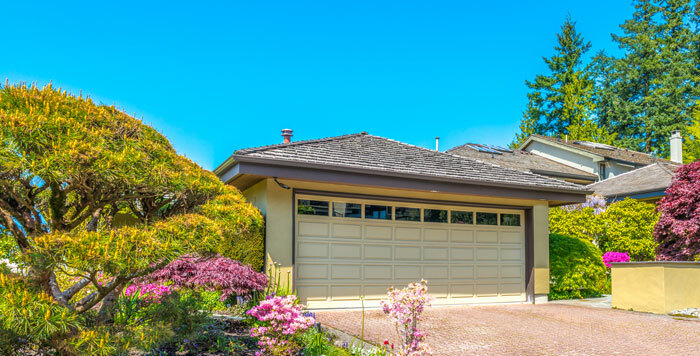 In addition to our extensive Garage Door FAQ section that answers the many questions of garage door and gate installation and repair, we provide customers with an assortment of helpful garage door articles and our blog that keep customers in the loop. From choosing a garage to various garage door repair tips, you can find all the help you need with your overhead door. We service all Providence County, so you can be sure that whether it is a garage door repair near Cranston, new garage door installment in Providence County, All City Garage Door Repair will always be there for you. We always say, that the key to a good service, is one simple fact - you need to love what you do and enjoy your work. The experts of All City Garage Door Repair love their job, and we enjoy helping other people, and share the knowledge we acquired during years in the garage doors field in Cranston.